Nona Fern Maloy, of Rolla, passed away Monday, November 12, 2018 at the age of 70. She was born in St. Louis, MO, to the late Ernest and Goldie (Landers) Joseph. On November 23, 1971, she married James M. Maloy, who preceded her in death on November 9, 2015. Prior to retirement, Nona worked as a Licensed Practical Nurse. 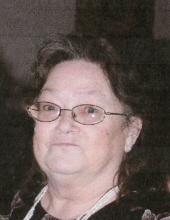 Among her many interests, she enjoyed fishing, baking, and spending time with her grandchildren. She was also very involved with the Dept. of Conservation, which recognized her with numerous awards with her involvement with Hunter Safety. In addition to her parents and husband, she was preceded in death by two brothers, Ernest Joseph Jr. and Daniel Downard, and one grandson. She will be greatly missed by her surviving family which includes four children, David Joseph Kuelker Jr. and fiancée Jennifer, of W.V., Dana Duncan and husband Ken, of Rolla, MO, James Mack Maloy Jr. and wife Angela, of St. James, MO, and Dale Eugene Maloy, of Warrenton, MO; a sister, CeCelia Seiber, of Mt. Vernon, Illinois; ten grandchildren; ten great grandchildren; nieces, nephews, other extended family members and dear friends. A memorial visitation celebrating the life of Nona Maloy will be held from 7-8 pm. Friday, November 23, 2018 at the Null and Son Funeral Home in Rolla. To send flowers or a remembrance gift to the family of Nona Fern Maloy, please visit our Tribute Store. "Email Address" would like to share the life celebration of Nona Fern Maloy. Click on the "link" to go to share a favorite memory or leave a condolence message for the family.